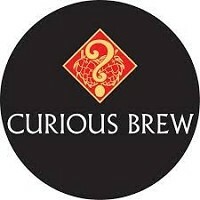 CRAFT LAGER - Chapel Down "Curious Brew"
A Copper brown beer with malty, fruity and hoppy aromas. 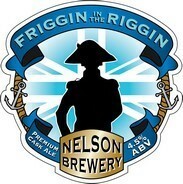 This full bodied ale has a delightfully clean hop finish. 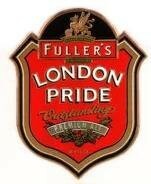 Great with Pie & Mash. 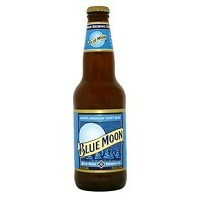 Blue Moon is brewed with oats for creaminess and spiced with the perfect combination of orange peel and coriander. Always served with a slice of orange to bring out the unique flavours of the beer. A classic amber beer delivering a crisp, refreshing taste. 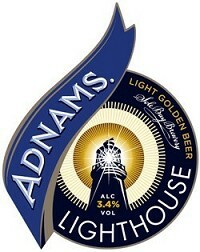 With its light fragrance, lovely malt flavours and long hoppy after palate, Adnams Lighthouse shines through as another champion Beer From The Coast. 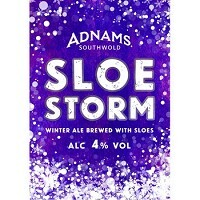 A fruity Winter Ale with notes of jammy red fruit, caramelised sugar with hints of raisins and dates. 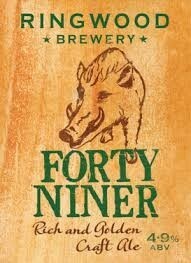 At 4.5% abv, this Pale Ale has a good assertive pithy bitterness and a malty backbone. It is brewed with a selection of malts – Pale Ale, Rye and Cara – we use Citra, and a blend of other American hop varieties to create some great citrus flavours. A very smooth, full flavoured premium bitter. 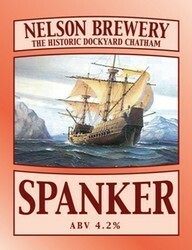 An excellent balance of malt, fruit and hops comes through in this rich, chestnut colour beer. A traditional, malty IPA using English malts and hops with a blend that hints at a lemon grass and marmalade aroma with a light, spicy undertone. This brew is packed with Alliance, Epic, Pilot and Target hops with a blend of Marris Otter, Crystal, Brown and Oats for the malts. 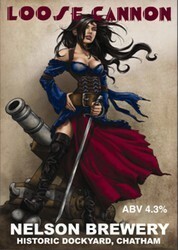 This 4.1% Ruby Ale is packed with 8 different English hops, giving beautifully rich, fruity characters throughout. A complex malt base adds a defiant and charismatic layer to this robust ale! Clear copper pour with little or no head. Nutty hop on the nose. Clean, light fruity note and slight bitterness at the end. 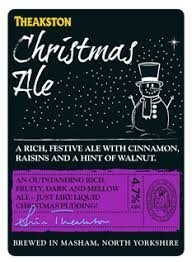 Overall, a simple ale to enjoy. Pale amber in colour. Light caramel malt aroma with a touch of fruit. Bitter sweet with malt character flavours. Medium bodied with more bitterness than malt in the finish. 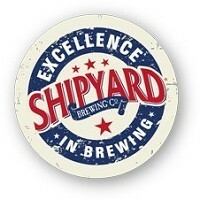 A beer born out of a conversation between Master Brewers Alan Pugsley of Shipyard Brewing Co. and Simon Yates of Marston's to craft a classic American style Pale Ale to satisfy the growing thirst of British drinkers for American craft beers. 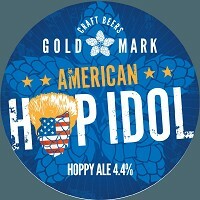 The beer is dry hopped for greater aroma and flavour with a quartet of four American hop varieties – Chinook, Cascade, Columbus and Centennial delivering a big, bold, brash hoppy beer. Drop anchor for a spell and enjoy. 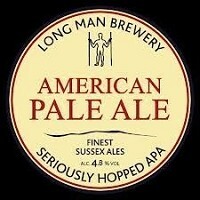 Enjoy this classic, refreshing American style Pale Ale bursting with grapefruity citrus flavour. 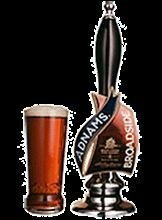 Up until the mid-1980s, Pale Ale was a popular brand in the Theakston range of bottled beers and throughout the UK but with changing consumer fashions and the resurgent interest in cask conditioned beers, the popularity of a one-time mainstay of the British beer industry faded. 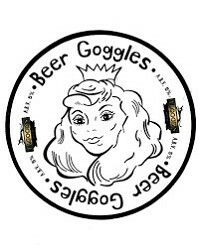 But, as they say 'what goes round comes around' and once again Pale Ale has returned on a wave of popularity encouraged by the growing consumer interest in new world craft keg ales. 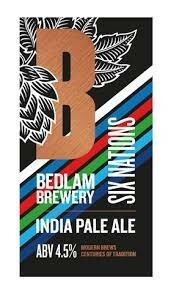 This wonderful news has encouraged us to brew Pale Ale once again this time with a modern twist. 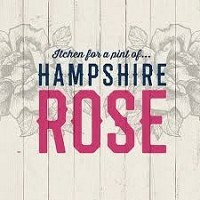 Cold filtered and unpasteurised, the process has enabled us to produce a beautifully subtle flavoured pale-coloured ale using a blend of new world hops noted for their refreshing characteristics in a mash of British and European malts. 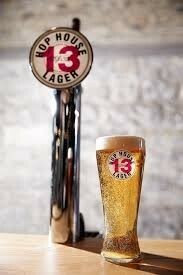 Named after an early 1900's hop store building at St. James's Gate where hops are still stored, Hop House 13 is a double-hopped lager made with Irish barley and aromatic hops and continues the 256 years of heritage and brewing excellence at St. James's Gate. 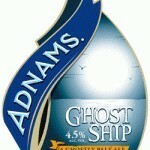 A pale, premium strength beer brewed with English hops and pale ale malts. 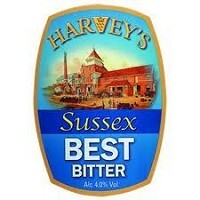 First brewed in 1959, Horndean Special Bitter (HSB) is an award winning, distinctive, high quality premium bitter brewed with 100% natural ingredients including the very best hand selected malt and hops. 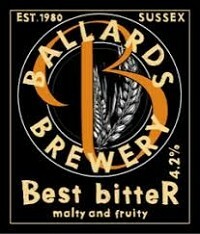 Palate: Very full bodied and silky textured yet well balanced malt and hop with complex fruit. 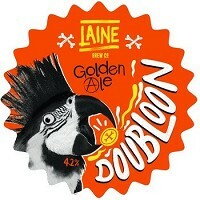 A refreshing golden ale with hints of fruit and a floral finish. A light bodied crisp, golden pale ale bursting with American hops giving bold floral, citrus and pine flavours with subtle hints of exotic fruit. A great partner to fish or salad dishes. A toasty medium bodied dry stout. Black with a lovely dense creamy head balancing the sharper burnt flavours. 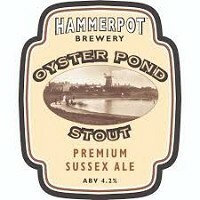 A traditional stock ale brewed with molasses. Dark and Malty with a depth of flavours. 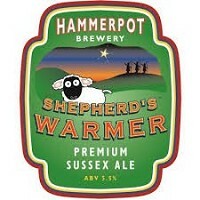 A real Winter warmer. 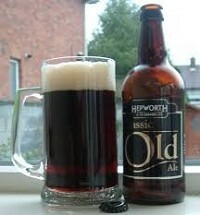 A tawny-coloured classic best bitter with well balanced malt flavours, finished with a hint of blackcurrant and a slightly spicy, sweet aroma. 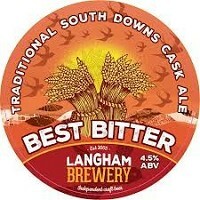 Enjoyed best with Pub favourites such as pie and mash or sausage and mash. 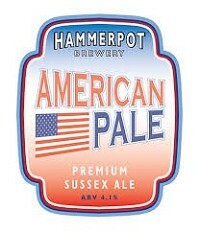 Made using only the choicest U.S. hops, this triple-hopped American Pale Ale has a pleasant citrus fruit aroma and characteristic robust bitterness. This APA is great with Fish & Pasta Dishes. 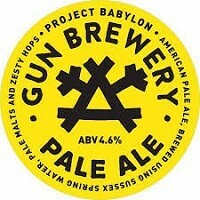 An extremely clean-drinking pale ale with a strong floral aroma and elderflower notes. 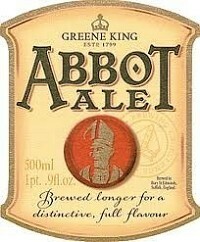 This beer is full-bodied and full-flavoured yet gentle enough to make it a favourite session beer. Used to be known as 'new world', nothing has changed except from the name. 4.5%. Warm and full bodied flavour. Malt loaf and toffee combine with a bitterness on the back of the tongue giving a well balance sweetness. 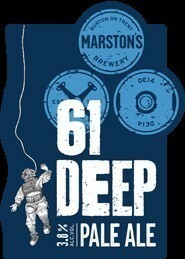 A new order especially for all you lovers of a darker ale. 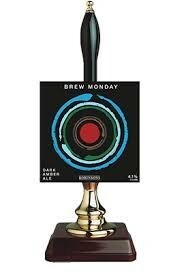 Brew Monday's fruity aroma betrays it's malty, crisp and salty taste, give it a try and tell us now, how does it feel? 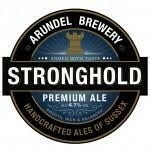 A blend of finest brewers‚ malt and oats to give outstanding body set off with cinnamon and raisins sweetness balanced by a hint of walnut and hard brewing liquor to give a beer of outstanding stature, balance and quality. One for the connoisseur. 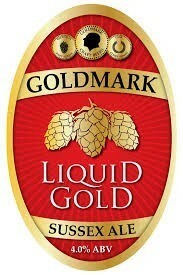 Exquisitely lovely golden ale. 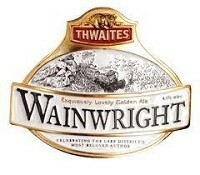 Named after Alfred Wainwright, the renowned Lakeland author who was born in Blackburn, Wainwright is a refreshing golden ale with subtle sweetness and delicate citrus fruity overtones. 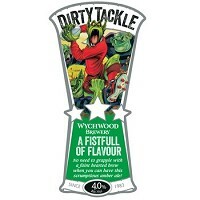 Avoid the scrum & make sure you score an early try as our most popular seasonal ale makes a winning return. 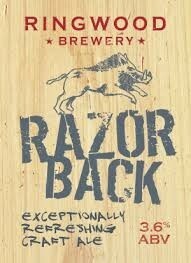 A full-bodied malty beer with a clean citrus aroma tackles your taste buds & kicks its opponents into touch. Superb food and great service. Most weloming atmosphere.